Inch of Creativity: Yup! ...I like Easter Eggs! Yup! 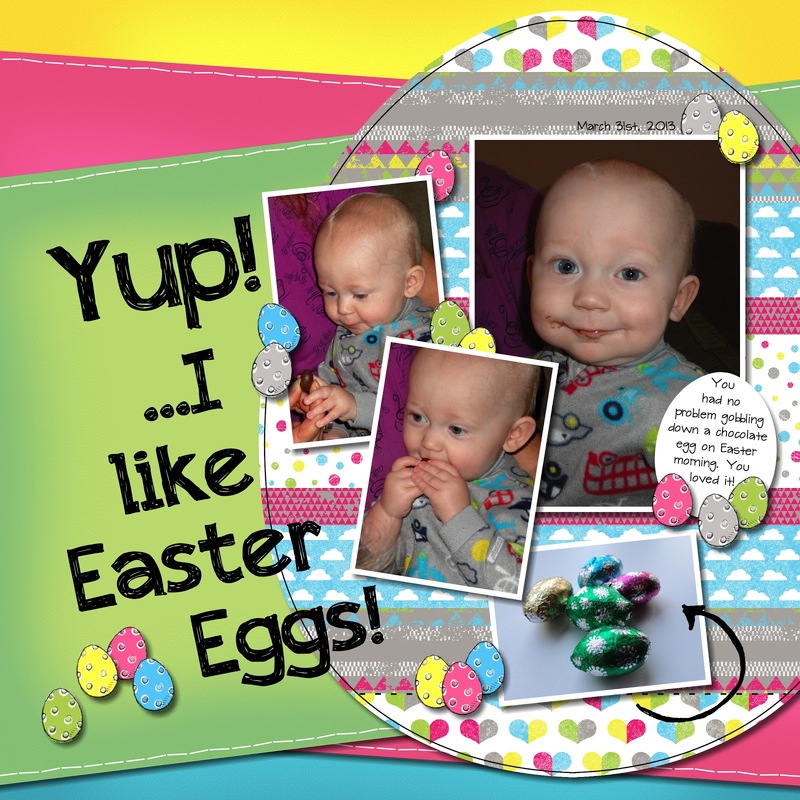 ...I like Easter Eggs! As you can tell, today's page is a little bright...okay A LOT bright! but I like it and it makes me smile. I don't really have much else to say about today's page, but please see the video below, to learn how I filled my easter egg punch with different strips of DSP, Enjoy! Also, see below for a full list of supplies.